Diatoms in an aquarium in excessive amounts are a significant problem for every aquarist and are often associated with it. But we will talk about diatoms in the aquarium here. It turns out that some diatoms, and more specifically their unusual structure, can be used in our favor. It is the spatial and chemical (silica) construction of diatoms that can bring you and your loved ones a number of health benefits. Diatoms are single-celled organisms (algae) so tiny that in order to be noticed they would have to be enlarged a thousand times. Their armor is made of silica, hence the name. Diatoms occur in all types of water on Earth, both sweet and salty. They even occur in moist soils. These organisms are the basic food for creatures in the aquatic environment – you could call them “water grass”. The presence of higher life forms in the aquatic environment depends on the presence of diatoms in significant quantities. Without them, these organisms could not exist. Diatoms are so fertile that if all of them were collected and placed at the end of the board, swings, and all other terrestrial organisms, animals and plants, at its other end, then terrestrial organisms would be high in the air. In other words, diatoms are much more than all other terrestrial organisms put together. Fig. Diatom shells of various species. Photo enlarged. Why is this small organism so important? We do not know how much fish or other “water food” is in your diet, but millions of people would starve if they had no access to marine and freshwater organisms. 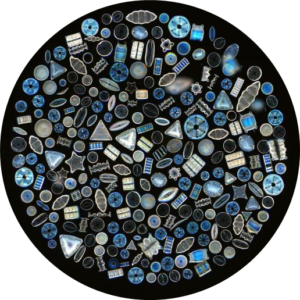 The vast majority of marine animals would not exist if they did not have access to diatoms. This tiny sea organism is, for example, the basic food of giant baleos that weigh up to 90 tons. We also do not know if the whales are aware that these organisms exist – because they certainly do not see them. The whales open their huge mouths, taking tons of water and filtering microscopic organisms. The largest animal on Earth owes its life to one of the smallest organisms. 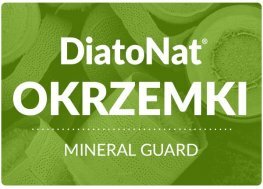 How important are diatoms for you? It does not matter if you have heard about these organisms. They are important for you and perhaps your existence. We are sure that the human race would not exist – at least in the form in which we know it – if there were no diatoms. It is very important that you gain knowledge about these organisms and know why they are so important. Diatoms in aquariums can be problematic, but for our health may be necessary. Fossilized remains of diatoms that lived millions of years ago are called diatomaceous earth (diatomite soil). 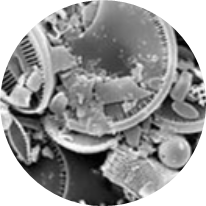 The microscopic diatom shells in diatomaceous earth are mainly composed of amorphous silicon dioxide SiO2 and trace amounts of other minerals. The diatoms have lived in an aqueous environment, so they are insoluble in water. When given for consumption, they move through the digestive system of humans and animals almost intact; also through their stomachs, where they reside in caustic digestive juices. Only relatively small amounts undergo metabolic changes. During the passage through the digestive system there are a number of important events, which we write below. The diatom shell should have a spacial shape with numerous holes in the walls. It must also come from freshwater because saltwater deposits are heterogeneous, brittle and polluted. Fig. Freshwater, glacial cylindrical diatom shells originating from deposits in North America. Only such are suitable for food purposes. They must be amorphous – have a non-crystalline structure. Saltwater deposits, on the other hand, contain a mixture of various types of diatoms with various armor structures, and their shells are brittle and break easily. In addition, they contain a large number of other components that block openings in the shells, which seriously reduces the effectiveness of diatoms and makes them unsuitable for our purposes. 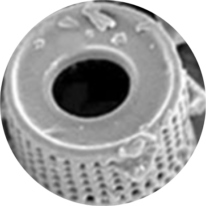 The durable structure of diatom shells and the unchanging composition are therefore of great importance for the efficiency of their operation. Our freshwater deposits contain 91% -95% SiO2 amorphous silica. These deposits are characterized by high purity and contain stable, small amounts of other components that deposited simultaneously with diatoms. Freshwater deposits in the mountains, such as ours, have formed as a result of dissolving very clean snow and ice. Dissolved snow and ice were a source of water in which diatoms later lived. Analyzes of many other deposits have proven that our deposits have exceptional purity compared to others, which means that according to the standards of the American Food and Drug Administration, FDA (Food and Drug Administration) have FCC (Food Chemical Codex Grade) quality. Let’s also remember that amorphous SiO2 silica present in the natural state is a rare mineral variety. Silica turns into a crystalline state at higher temperatures with volcanic activity or as a result of industrial human activity. 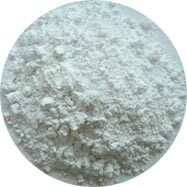 The diatomaceous earth containing crystalline silica (calcined) is used in filtration systems, e.g. in swimming pools. 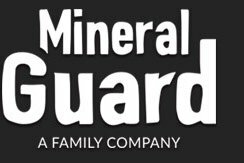 Fine crystalline silica is very dangerous when it is inhaled or when it enters the digestive system. Crystalline silica has very sharp and hard particles that can be dangerous to the walls of the digestive tract of humans or animals. Fig. Crystalline silica is relatively harsh to touch and has a pinkish or white color (freshwater origin – like the one above) or brown, gray (saltwater origin). Fig. Silica of saltwater origin. Also not suitable as a foodstuff. Fig. Amorphous (non-crystalline) silica food-grade type of fresh water origin. 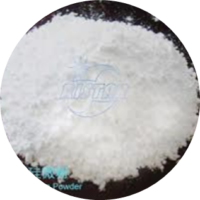 It can be used as a food supplement or food additive. It is white, soft to the touch and has a white or cream white color. 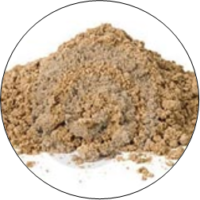 Gray or brown amorphous freshwater silicas may also be of the “food grade” type, but are only suitable as an additive to feed or a component of natural fertilizers due to the slightly higher content of other minerals in the composition. The amorphous freshwater diatoms used for human or animal consumption find a number of positive applications. Among the effects of the activity are mentioned: supporting the elimination of parasites from the alimentary tract, elimination of food deposits and deposits of bacteria or toxic substances. Diatoms, and more specifically their high silica shells, are also an excellent source of bio-absorbable silicon. Diatoms used as a food supplement go through the digestive system, causing a number of beneficial events. These events are physical and are safe for the body, and we do a lot to build diatoms. First – diatoms, passing through the digestive system, rub against the parasites and their forms causing their mechanical damage and drying through dehydration, as well as prevent the reproduction of parasites. The diatoms themselves pass through the body without causing any damage, and the destroyed parasite is excreted. Similarly, diatoms also help external parasites that live on animals, on plants or in home and farm rooms. Most living creatures come into contact with parasitic eggs every day. Parasites can be eliminated by administering toxic synthetic substances or effective but harmless natural diatoms. 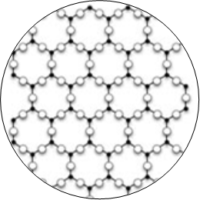 Second – each carapace is burdened with a strong electric negative charge. 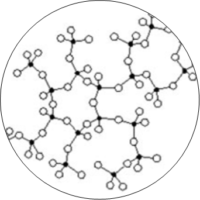 Many harmful substances that get into living organisms have a positive charge. Diatoms – due to the negative charge – attract and absorb positively charged harmful substances that are small enough to penetrate into the openings of the shell. The diatoms pass through the lumen of the stomach and intestines and are excreted outside the body. Fig. 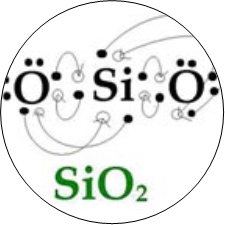 Atoms of silicon and oxygen in SiO2 with negative electric charge. Thirdly – in contact with gastric and intestinal juices, some of the diatom shells are metabolized to highly available and safe orthosilicic acid, which absorbed by the body is a source of biologically active silicon and can significantly affect the body’s health. More detailed information is available in further tabs of this section and the Literature tab. The video film tells about the comprehensive application of diatoms. In the modern world, most of the food and most of the water, as well as air, contain dangerous substances that weaken the immune system. Consumption of diatoms in specified amounts supports the prevention and treatment of many diseases – see video film. 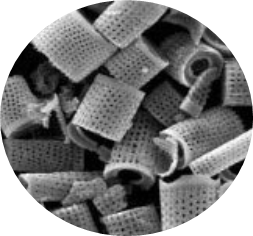 Our product – Natural diatoms – are freshwater diatom shells (amorphous natural diatomite) in the shape of tiny cylinders with holes. They come from a post-glacial freshwater deposit, with unique purity and quality. They contain less than 0.5% of crystalline silica. They have not been structurally or chemically changed in any way. They have appropriate approvals and quality certificates. Information from the Drones section is the result of the development of scientific information available in the Literature tab.